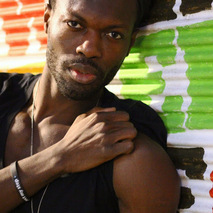 Ehizoje Azeke (Hip-Hop) is a professional dancer currently signed to MSA New York. Under their representation he has had the privilege of working with clients including: Madonna, Beyonce, Nicki Minaj, Carrie Underwood, Joss Stone, Tommy Hilfiger, COACH, Monocler Grenoble, Nike, Puma, Lance Armstrong, Elle Magazine, America's Best Dance Crew, and ABC's The View; under the direction of choreographers including: Jermaine Browne, Luam Keflezgy, Luis Salgado, Noemie Lafrance and Sheryl Murakami. 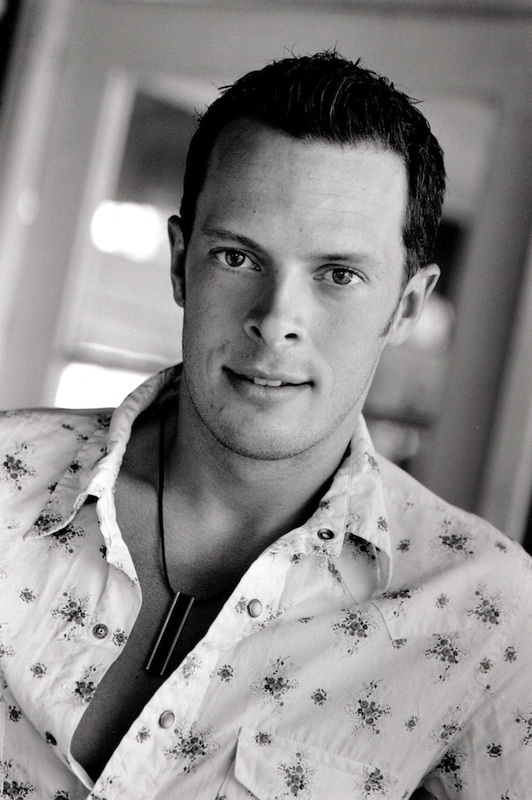 He is also the founder/artistic director of The Z.Lines Dance Initiative. Valeria Cossu: (Body Percussion) Valeria's career began as a performer at the Opera Lirica in Italy. She toured Europe as part of several dance and theatre companies. Valeria served as John Rando's Assistant Director on the B’dwy production of The Wedding Singer in Spain and as Associate Director/Choreographer on Ecopolis the Show, and Gormiti the Show. Upon moving to NYC, Valeria choreographed Ser o no Cer...Vantes, 2011 REvolucion Latina Choreographers Festival, and BOUNTIFUL. She joined Salgado Productions as Assistant Director/Associate Choreographer. She won BEST DIRECTOR for the musical Discovering Magenta at the 2015 Thespis Theater Festival, and the play Until Death Do Us Part was nominated for BEST PLAY at the 2016 Venus Adonis Festival. Valeria recently took on the role of Associate Director in the musical In The Heights. "Thank you LIFE to give me the opportunity to BE!" Karen Gayle (Modern): originally from Toronto, Karen began her formal training in the Claude Watson Arts Program. After moving to New York, she furthered her studies at the Alvin Ailey American Dance School. Karen has had the honor of performing the works of such choreographers as Earl Mosley, Ronald K. Brown and Tony winner Hinton Battle. Karen has taught at Ballet Hispanico, Joffrey Ballet School, The Ailey Extension, The School at Columbia University, Horace Mann, New Dance Group, and is currently a faculty member at Steps on Broadway, Marymount Manhattan College, Montclair State University and Joffrey Ballet School. She has had the opportunity to guest teach and choreograph across the U.S. and abroad, including Canada, Mexico, Bolivia, Italy, Cyprus, and Israel and recent commissions include: The Harvard Ballet Company, Steps Repertory Ensemble, General Mischief Dance Theatre, The Boston Tea Party Opera, Steffi Nossen, Earl Haig High School and Montclair State University. As artistic director of the xodus dance collective, her choreography has been showcased at such venues as: The Ailey Theatre, Riverside Theatre, American Dance Guild Festival, DUMBO Dance Festival, Movement Research at Judson Church, the Downtown Dance Festival, JPAC, Here Arts Center, The Queen Elizabeth Theatre in Toronto and the Inside/Out Festival at Jacob's Pillow. ​Jason Samuels Smith (Tap) is an established leader for Tap with accolades as Choreographer, Performer and Humanitarian. He received an Emmy, Dance Magazine Award, and American Choreography Award as well as grants/residencies supporting the development of new work. Choreography and film credits include Black Nativity (associate tap choreographer/security guard #1); Hit Series Psych; CBS’s Secret Talents of the Stars (MYA); So You Think You Can Dance. As a humanitarian, he continues to support organizations including Dancers Responding to Aids, Tied to Greatness, Career Transitions for Dancers, Tap Into A Cure, Groove with Me, and Move The World among others. He also designed and developed a leading professional tap shoe sold exclusively by BLOCH. Jason aims to promote respect for tap dance and continue to create opportunities for upcoming generations as he continues to travel as an ambassador for tap around the world. Ballet Theatre in 1975 after graduating from George Balanchine’s School of American Ballet. In 1978 he was chosen to portray Vaslav Nijinsky in the Paramount Pictures/Herbert Ross film Nijinsky. He followed that with numerous other projects for film, theatre and television, as well as on and off Broadway. In addition to being a member of Lincoln Center Theater’s Directors Lab, he continues to collaborate with playwrights, composers and creators in the Digital Arts to develop new work. Duncan Lyle: (Ballet) Born in Melbourne, Australia, Lyle began his training at Camberwell District Ballet with Janina Ciunovas, Susan Thomson, Toivo Taves and Barbara Nimmo. In 2007, he was accepted in to the Royal Ballet School from which he graduated in 2010. With the Royal Ballet School, Lyle performed Pas de Cinq from The Sleeping Beauty on tour in Japan, Liam Scarlett's Toccata on the main stage of the Royal Opera House, Peasant Pas de Six from Giselle and Pas de Douze from Ashton's Swan Lake. Lyle joined American Ballet Theatre in 2012. His repertoire with the Company includes a Step-Sister in Frederick Ashton's Cinderella, Village Notary in La Fille mal gardée, Wilfred in Giselle, the Standard Bearer in The Green Table, Mother Ginger and the Russian Dance in Alexei Ratmansky's The Nutcracker, Lord Montague in Romeo and Juliet, the Indian Prince and Prince Fortune in The Sleeping Beauty, Sebastian in The Tempest and roles in After You, Bach Partita, The Brahms-Haydn Variations and Raymonda Divertissements, as well as roles in all of the Company's full-length ballets. 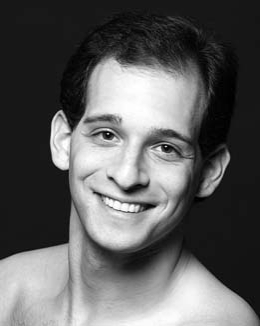 In addition to teaching for American Ballet Theatre main company and American Ballet Theatre Studio Company, Lyle has taught for American Ballet Theatre Summer Intensives, Intermezzo Dance Company, Sheer Talent Ltd., Studio Larkin, Techniques Dance Studio and The Russian Choreographic Academy. Amos Machanic: (Modern) began his training in Miami, Florida at Miami's New World School of the Arts. 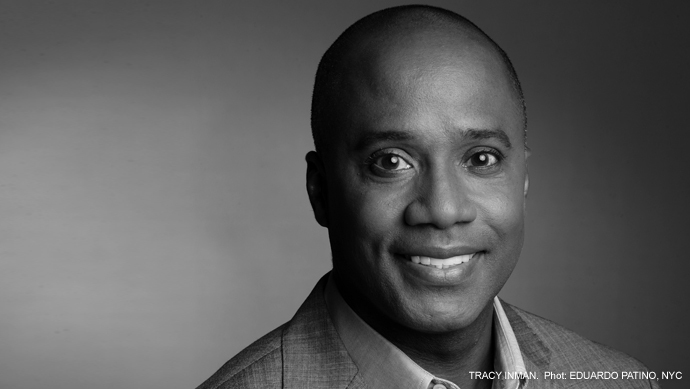 He studied as a scholarship student at The Ailey School and was a member of Ailey II and The Alvin Ailey American Dance Theater from 1996-2011. In 2010 Mr. Machanic had the pleasure of performing at The White House in tribute to Artistic Director Emerita Judith Jamison. 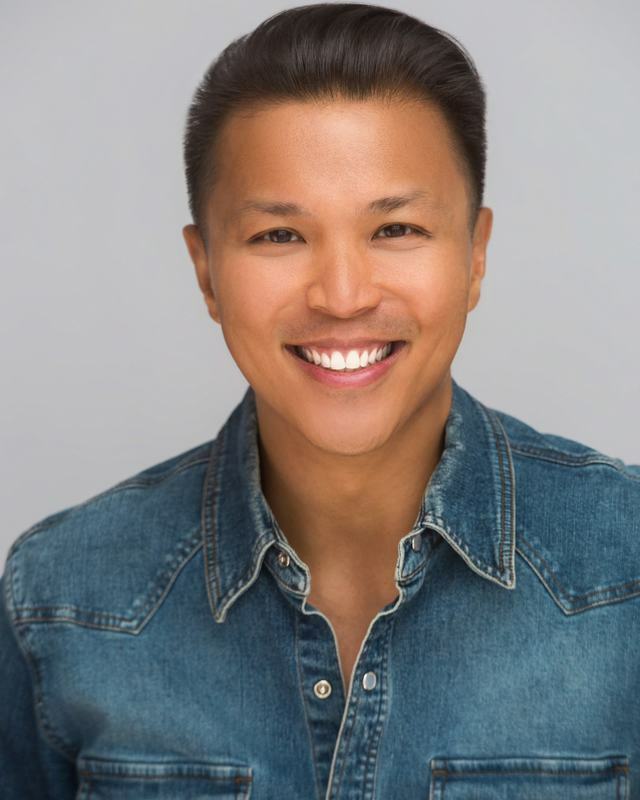 Currently, Mr. Machanic is a freelance artist and has had the pleasure of working with the Alvin Ailey arts in education program as a teaching artist and as a teacher at the Alvin Ailey American Dance Center- Ailey Extension. He has also taught at the American Ballet Theater summer intensive program and at Ballet Academy East. Adrienne Hurd: (Modern) is a native New Yorker; She began her training at the Joffery Ballet School, School of American Ballet and the Alvin Ailey School. She has performed with The Neubert Ballet, Dance Brazil, Ailey II, The Jamison Project, and Earl Mosley's Diversity of Dance. She worked with Judith Jamison as an assistant for 4 years and was a rehearsal director for The Jamison Project. She has worked with Alvin Ailey, Judith Jamison, Michael Peters, Paula Abdul, Twyla Tharp, Garth Fagan, Donald McKayle, Graciela Daniele, Jeff Calhoun, Vince Patterson, and Earl Mosley. She has appeared on Broadway in “Down To Earth”, “Dangerous Games” and “Annie Get Your Gun”. She has taught at the University of Minnesota, Open Look Dance Festival St. Petersburg, Russia, Dance New Amsterdam, JKO School at ABT, ABT Summer Intensive NYC, Joffery Ballet School, Professional Performing Arts School, Ailey Extension, The Ailey School, The Ailey School Junior Division, Steps on Broadway and Rasta Thomas' "Rock The Ballet”. She has choreographed for The Ailey School Junior Division, ABT Summer Intensive NYC, Lynch Ballet Company Professional Performing Arts School, The United Arts Counsel, Univ. of Minnesota and is the resident Choreographer for the Nomad Contemporary Ballet Company. She has also choreographed original musicals; “The Lost Boys”, “Open Rehearsal” and “SPEAK the Show” for SummerStage NYC. Jermaine Browne: (Hip-Hop/Jazz/Funk) born in Georgetown, Guyana came to New York at the age of ten. As an aspiring performer, he studied dance, acting and voice. His exceptional talents were quickly recognized as he started working as a dancer in film, TV and theatre. Jermaine appeared in a Blockbuster/Visa commercial with Cindy Crawford which led to doing commercial work with Derek Jeter on a Nike project. He has appeared in commercials for the Gap, E-Trade, and American Eagle and has performed in music videos including J.Lo’s “Love Don’t Cost A Thing” and “Play”. His film credits include Malcolm X, Strictly Business and appearances on Saturday Night Live. 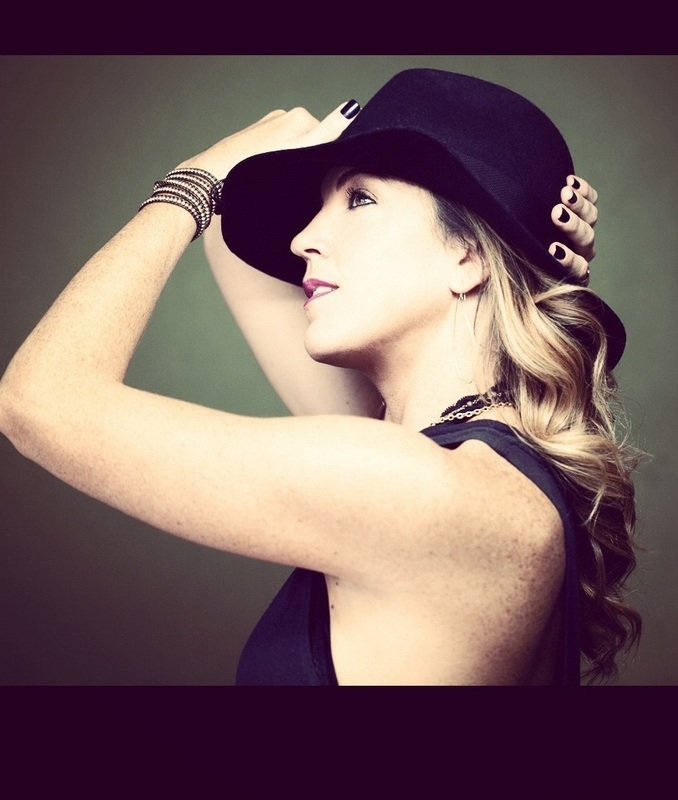 Kristin Sudeikis: (Contemporary) Kristin Sudeikis choreographs, directs, and performs for TV, Film and Stage. She has choreographed and danced for the Emmy award winning NBC hit “30 Rock” and for the 2011, 2012 and 2013 NIKE Blast in Stockholm, Sweden. She has danced for Mariah Carey and has been featured on “The View”, “Good Morning America” and “The Today Show”. Print work includes features in Marie Claire Magazine, Vogue, Dance Studio Life Magazine and Dance Teacher Magazine. Kristin recently created a world premier for the Peridance Contemporary Dance Company and is the Artistic Director of The Kristin Sudeikis Dance Company. She travels the world setting works on companies and teaching master classes. Noah Racey: (Tap) is a New York based actor, director, choreographer and educator. He appeared on Broadway in CURTAINS, NEVER GONNA DANCE, THOROUGHLY MODERN MILLIE and FOLLIES. He was the Associate Choreographer for THOROUGHLY MODERN MILLIE (Tony Award, Best Choreography). Regional Choreography credits include Seattle 5th Avenue (CINDERELLA, GUYS AND DOLLS); ACT (GREY GARDENS); Goodspeed Opera House (SHOW BOAT, ANNIE GET YOUR GUN – both won Connecticut Critics Circle Award for Outstanding Choreography), and SHOWBOAT at the Asolo Repertory Theatre. Noah is a 11 year Resident Director/Choreographer/Performer for BROADWAY BY THE YEAR at Town Hall. Noah choreographed the World Premiers of IT SHOULDA BEEN YOU (George Street Playhouse) and TURN OF THE CENTURY, (Chicago’s Goodman Theatre - directed by Tommy Tune). 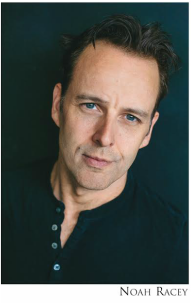 Noah teaches Master Classes and Audition Workshops for Professionals for such esteemed programs as NYU’s CAP21, University of Michigan, The Boston Conservatory, and Seattle’s 5th Avenue Theatre Conservatory. Noah is a Dance Faculty member at the Boston Conservatory’s SUMMER DANCE INTENSIVE. He is the Founding Artistic Director of the NEW YORK SONG & DANCE COMPANY, they have toured overseas in collaboration with the US Embassy, conducting workshops with local artists and dance studios in such cities as Amman, Jordan and Jerusalem. Their production NOAH RACEY’S: PULSE had it’s world premiere at the Asolo Repertory Theatre. He is a proud product of—and strong proponent for—arts funding in public schools. Carlos Lopez: (Classical Ballet) was born in Madrid and studied at the Victor Ullate School with Karemia Moreno, Atilio Labis, Menia Martínez, Jose Pares and Aurora Bosch, and continued his training in NY with Willy Burmann, David Howard, Rinat Imaev, V. Semenov and Lupe Serrano among others. He danced at the Victor Ullate Ballet from 1991-2001, being promoted to Principal Dancer in 1996. Some of his repertory included leading roles in Don Quixote, Giselle, Allegro Brillante, Paquita, Les Sylphides, Tchaikovsky Pas de Deux and Theme and Variations. 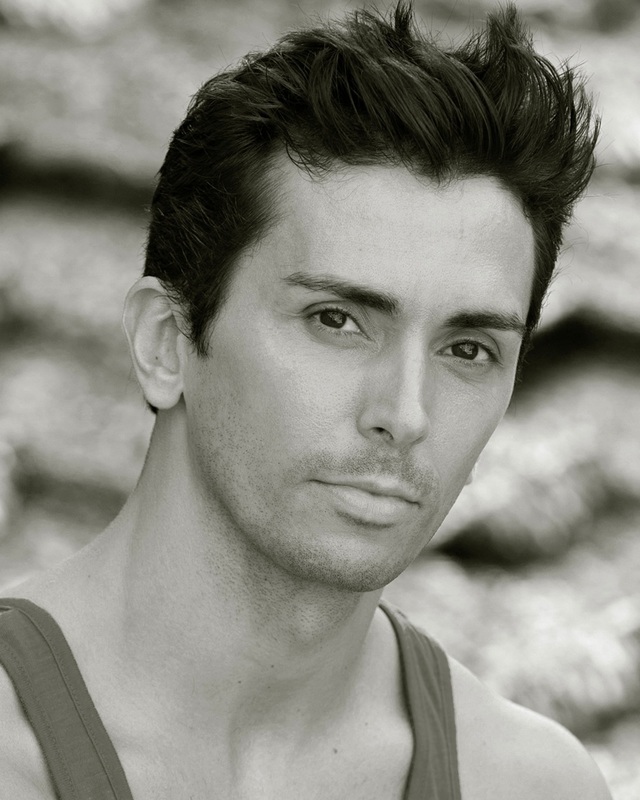 Carlos joined American Ballet Theatre in 2001 and danced as a Soloist from 2003-2011. He has worked with Natalia Makarova, Gelsey Kirkland, Anthony Dowell, Alexander Grant, Georgina Parkinson, Anne Marie Holmes, John Neumeier, Donald Mahler, Maria Calegari, Jean-Pierre Frohlich, Nancy Somes, Twyla Tharp, Mark Morris, Stanton Welch, Aszure Barton, Alexei Ratmansky, James Kudelka, Lar Lubovitch, Jorma Elo, William Forsyth, Kirk Peterson, Patrick Corbin and Robert Hill. In 1996, he won the Silver Medal at the “Paris International Ballet Competition” and was awarded the “Les Etoiles de Ballet 2000” Prize in Cannes in 2004. As a Guest Artist, he has performed with the National Ballet of Georgia, National Ballet of Cuba, Ballet Concierto de Puerto Rico, Lar Lubovitch Dance Company, Japan’s Espace O.B.S, The Inoue Ballet Foundation and the Cuban Classical Ballet of Miami. He is an ABT® Certified Teacher. He joined the Faculty of the ABT Studio Company in 2013 and was appointed Ballet Master in September 2014. For the Studio Company, he has staged the pas de deux of Diana and Acteon and a Suite of Le Corsaire and traveled to London to teach during the exchange with the Royal Ballet School. He was a mentor at “YoungArts” Miami 2014, part of the faculty at“Ibstage” Summer program in Barcelona and a Judge at the “Youth America Grand Prix”. To learn more about Carlos Lopez visit http://www.carloslopez.org. Dormeshia Sumbry-Edwards: (Bdwy/Tap) (performer, choreographer, instructor) is known for setting high standards in the world of Tap Dance. Tap coach to the king of pop Michael Jackson over the course of 11 years, she received a Bessie Award for her featured performance in Jason Samuels Smith & Company at the Joyce, and an Astaire Award for Best Female Performer for her featured performance in Broadway’s After Midnight. She is currently on the board as the Tap Advisor for Dance Magazine and was the official Tap Spokesperson for Capezio being featured in their international advertising campaign. Performances include Tony award winning productions on Broadway such as After Midnight, Black and Blue and Bring In Da’Noise, Bring In Da’Funk; International Tour of Bring in Da’Noise, Bring in Da’Funk (dance captain/principal dancer/understudy to the lead role); national tour of Wild Woman Blues; and Debbie Allen’s SAMMY (the life and times of Sammy Davis Jr.). She most recently performed as a special guest at NJPAC with Grammy Recording Artist and fellow After Midnight star Fantasia. Mrs. Sumbry-Edwards was also nominated for Best Actress for the starring role in “The Rise and Fall of Miss Thang” (Lavender House Films) which toured film festivals nationwide. Other notable film credits include “TAP” with Gregory Hines; Spike Lee's “Bamboozled” (Assistant Choreographer/actress); and “The Rodgers and Hart Story: Thou Swell, Thou Witty”. Mrs. Sumbry-Edwards’ choreography has been featured in national and international stages as well as in Michael Jackson's music video “Rock Your World”; and in weekly shows at the world famous Cotton Club in Harlem. 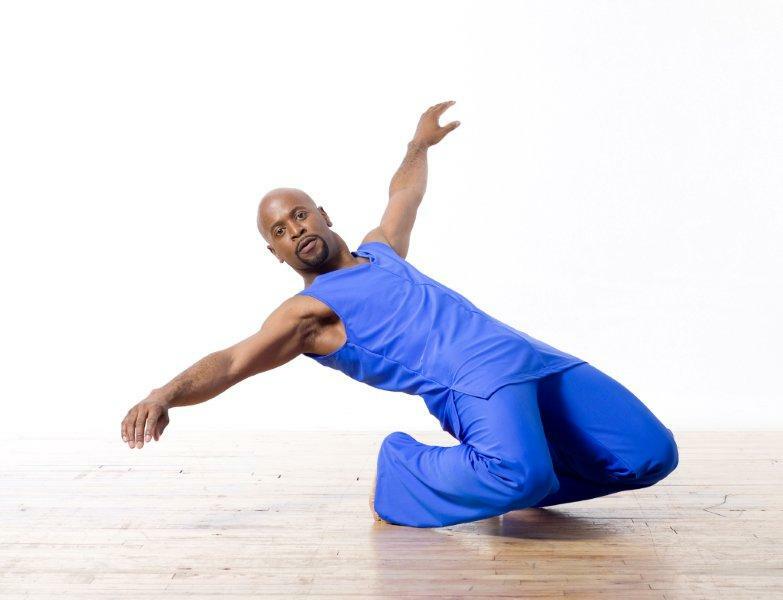 Guillermo Asca: (Modern) Guillermo is currently on faculty at the Ailey School, where he teaches Horton and Coordinates the Ailey PPAS program, a division of the Ailey School affiliated with the Professional Performing Arts High School. Guillermo was introduced to dance while attending LaGuardia H.S. of the Arts where he graduated with a major in music. He continued his dance training on scholarship at the Alvin Ailey American Dance Center and the Ailey Repertory Ensemble. Mr. Asca went on to dance with Ballet Hispanico, Shapiro and Smith Dance, Footprints Dance Project, Ballet Metropolitano De Caracas as well as performed in the closing ceremony of the 92 Barcelona Olympics. Guillermo was a Performer with The Alvin Ailey American Dance Theater from 1994 to 2014 where he had the opportunity to work with respected choreographers such as Talley Beatty, Ronald K. Brown, Geoffrey Holder, Judith Jamison, Donald Byrd , George Faison, Hans Von Manon, Ohad Naharin, Rennie Harris, Donald Mckayle and Bill T. Jones to name a few . Mr. Asca has conducted Master Classes, Lecture Demonstrations and has hosted Mini Performances for the Ailey Company. He has also appeared in the Lester Horton Instructional Videos, TV and Film in shows such as Sesame street, Great Performances “A Hymn for Alvin Ailey”, “Beyond the Steps”, Kennedy Center Honor, Ellen, and The Today Show . Stella Abrera: (Ballet) Stella Abrera began her dance training in South Pasadena, California with Philip & Charles Fuller and Cynthia Young. She continued studying at West Coast Ballet Theatre in San Diego and the Royal Academy of Dancing method in Sydney, Australia. She joined ABT as a member of the corps de ballet in 1996 and was promoted soloist in 2001. Her repertoire with ABT includes the Girl in Afternoon of a Faun, Gamzatti and a Shade in La Bayadere, Cinderella in Cinderella, Aurora in Coppelia, Helena in The Dream, the Sugar Plum Fairy in The Nutcracker, In the Upper Room, The Leaves are Fading, among many others. She received the Gold Medal at the Royal Academy of Dancing’s Adeline Genee Awards in London in 1995. 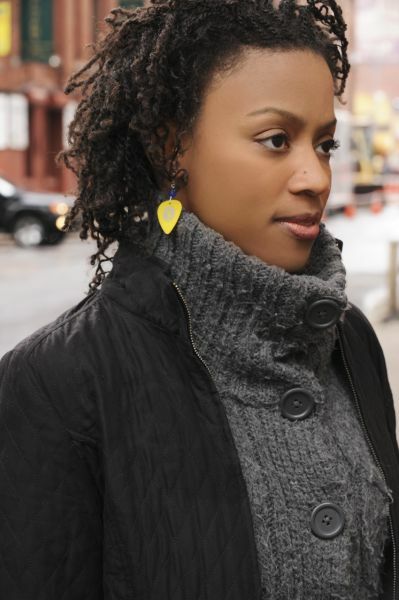 Karida Griffith: (Tap) Karida Griffith is a Producer, Performer/ Choreographer and Actor. She began her study of dance in Portland, Oregon. Her professional career began as a principal dancer in the West Afrikan dance company, Northwest Afrikan American Ballet. She toured Europe with the B’dwy hit Black and Blue, performed with Cirque du Soleil in “Banana Shpeel”, in the world famous Radio City Christmas Spectacular as a Rockette and in the Gala for “Career Transition for Dancers” in NY. 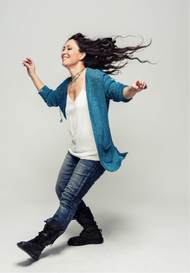 Her choreography has been featured at the NYC Tap Festival at Symphony Space. Karida is on the faculty of Broadway Dance Center in NY and is currently in production for multiple episodes for Season 4 of the HBO hit series “Boardwalk Empire”, both as an actor and dancer. Freddie Moore: (Modern) Freddie Moore’s professional career as a dancer, master teacher and choreographer began with his formal dance training at The Ailey School. After graduating from the school’s Certificate and Merit Scholarship programs, he went on to being a featured artist with Ailey II, Donald Byrd/The Group, Forces of Nature, Gallman’s Newark Dance Theater, and Blue Mercury Dancing Company. His career as a master teacher has taken him across the US, Europe, Asia, Africa, South America, and the Caribbean. A noted Master of the Modern Horton technique, Mr. Moore conducts artist-in-residence workshops in public and private schools and has developed performing arts curriculum for community-based programs and churches. He has received honors for community service including commendations from the NAACP, the New Jersey Senate, the National Black Police Association, the Jersey City Community Outreach Team, and the Public Advocate for the City of New York. Mr. Moore is currently the Rehearsal Director for both, the Ailey/Fordham Student Dancers (AFSD) and Ailey Student Performance Group (ASPG), Ailey Certificate Program Advisor and a faculty member at The Ailey School, Hudson Repertory Dance Theater, Educational Center for the Arts (ECA) and Morning Glory Christian Dance Academy and is the Founder and Artistic Director of Footprints Dance Company.